Rwanda is a landlocked country in central Africa (Heart of Africa), country is also known as “Land of thousand hills” with land area of 26,338km2. It lies 75 miles southward of Equator, 880 miles west of Indian Ocean, and 1,250 miles east of Atlantic Ocean. Rwanda is bordering Tanzania to the East, Democratic Republic of Congo to the west, Uganda to the North, and Burundi to the south. See some of the facts below. Rwanda has world’s record of highest representation of women in parliament, as over 60% of parliament members are women. Rwanda is only country in the world where people alongside their President participate in National service activities “Umuganda” every last Saturday of month. 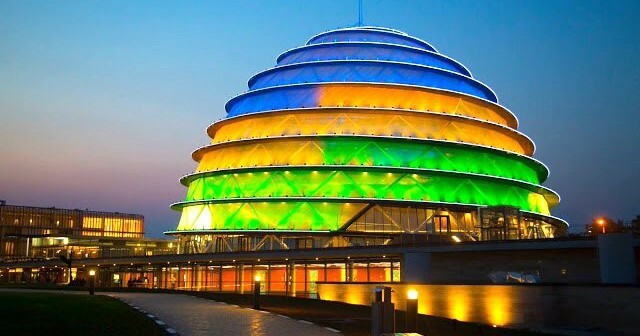 According to World Bank’s doing business rapport of 2016, Rwanda is 2nd Africa’s country to do business in, behind Mauritius which is 1st in Africa, 49th globally. Business registration in Rwanda is done in 48hours. The country is considered as one of the best country with high internet connectivity in Africa as Rwandan Government is spreading the internet facilities like construction of fiber optic in all parts of country. Rwanda is one of Africa’s leading digital revolutions, as every services needed from any public institution for instance; Tax declaration and payment, Traffic penalties’ payment, Business registration ….etc are done online. The Country is the Origin of Smart Africa Alliance. Capital city of Rwanda (Kigali), is the most cleanest city in Africa, as the Government of Rwanda implemented the ban for the use of plastic bags/sachet ”Amasashi” for environmental protection. Rwanda has 5 volcanoes, Karisimbi, Muhabura, Bisoke, Sabyinyo, Gahinga, Karisimbi is the highest volcano among the others with 4507 m above sea level. The Country experiences temperate climate with 25-300c during the day and 150c at night, throughout the year. Rwanda has 3 National Parks, Akagera the largest National park well known for Big five animals and game drive, Nyungwe the greenest national park with natural forest, well known for chimpanzee species and many endemic bird species, and Volcanoes national park which is known as Home of Mountain gorillas. Rwanda is a peaceful and secure country in Africa to live in. The Rwandan soldiers (Rwanda Defense force) are the most successful/professional and respected peace keepers in Africa, as they show professionalism whenever they attend UN peace keeping missions in Africa like UNAMID in Darfur/Sudan. The country introduced the uses of drones in medical services like distribution of blood to the emergency stations. The country has many remarkable places to visit depending on the type of tourism you are interesting in like; cultural tourism, Dark tourism, business tourism, Medicine tourism, religious tourism and many more. The more you stay the more you enjoy the country with excellent hospitality “Nayombi”.